The maximum number of dehydrated food last for more than a year, but you have to keep them checking after some time if they go bad or not. The shelf life of the dehydrated fruit varies by some factors like drying procedure, the period of preparing and the storage method. In the below article, we will throw some more light on how long does dehydrated food last. Moreover, we will also share with you some additional information that impacts the longer shelf life of the fruit. How much time does dried fruit last? If the storage of the dried foods done correctly, then their shelf life gets lengthy easily. While drying fruit in the food dehydrator, the entire moisture from the food gets removed. It helps in stopping the formation of mold, yeast or bacteria in the fruits so that they don’t get spoil quickly. Dehydrated fruit becomes very smaller in size and lighter in weight. You can rehydrate the dehydrated fruit before eating. What happens during the Dehydration process of fruits? The process of food dehydration eradicates the moisture’s content from the fruit for stopping the growth of bacteria, yeast, and mold. The best part about the fruit dehydration is that it affects the nutritious content of the fruit insignificantly. While drying fruit in the food dehydrator, only 3% to 5% of the fruit’s nutritious content gets vanished in comparison to the other drying methods. 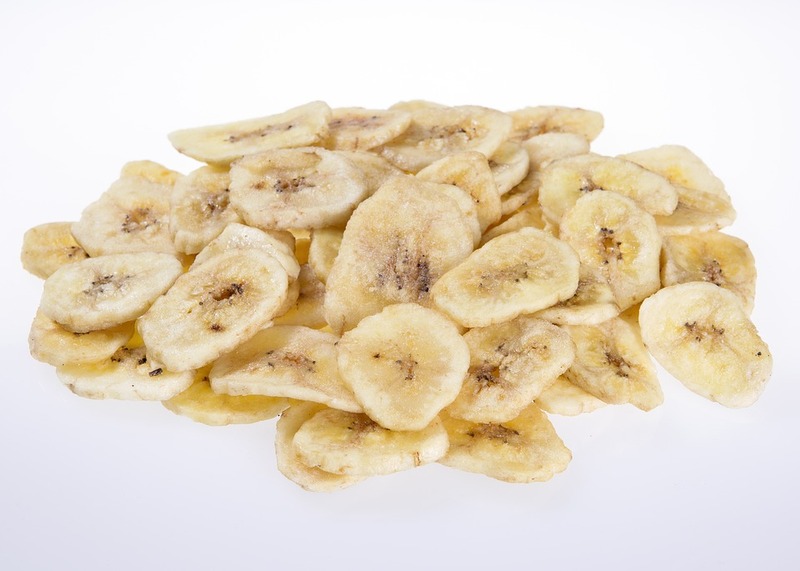 Food dehydrator retains vitamins A & C, carbohydrates, fiber, potassium, sodium, magnesium, and selenium in the fruits. Therefore, the fruit dried in the dehydrator gets easily stored for long term period along with the full nutrition. There are so many things that affect the longevity of the dried fruits in our kitchen. Ignoring such factors can be very risky sometimes, and all your hard work will get zero. The shelf life of the fruit is also affected by the way you prepare the fruit before the process of dehydration. The fruits should be washed with the solution of vinegar and water before beginning the drying process. Before cutting, try to keep them inside the solution for at least 10 minutes for eradicating pesticides from fruit. The fruits that are juicy should partially be frozen for the stress-free slicing. The stems, cores or the seeds must be taken out in advance. Some fruits like apples get dark in color after cutting. Thus to counterbalance the effect of oxidization, you may spray lemon juice on the fruit’s slices. The significant aspect that affects the shelf life of the fruit is the correct setting of the dehydrator’s temperature. Most of the fruits dry out impeccably in the temperature ranges of 125 degrees Fahrenheit to 135 degrees Fahrenheit. But if you don’t dry fruits at the right temperature then, this can result quite badly. Some people try to dehydrate fruits at high temperature for quick results, but such a thing will only lead in the hard skin from the outside and improper drying from within. Moreover, by increasing the temperature of the dehydrator will only kill the healthy nutrients and enzymes of the fruit quite rapidly. Therefore you should always dehydrate your fruit at the right temperature in the given required time. The beginners can make use of the helpful information and instructions mentioned in the manual book of the food dehydrator. The manufacturer tells you exactly that how much time and temperature is require for drying a particular fruit in the instruction booklet. The dehydrated fruit comprises of the less amount of moisture usually stays for longer time. But there are few fruits like plums, apricots, etc. which are slightly sticky and have extra moisture’s content. Therefore, these types of fruits cannot remain for a longer time in comparison to other dried fruits. But storing them correctly as soon as the drying process gets completed can make the fruits lasts for a longer time. After cutting any fruit, the oxidization can spoil the taste as well as the nutritious content of the fruit if you don’t store them properly. Therefore, in such circumstance, you should opt for the vacuum sealing that reduces the probabilities of oxidation and helps in retaining entire vitamins and nutrients of the fruit for a long time. But, sometimes in a few bags, a certain amount of moisture get remains even after taking out the whole air. It means here the oxidization can take place once more in the dried fruit. Thus, to avoid such problem you can use the oxygen absorbers which are penetrable holders for the food that absorb the additional air. Moreover, the dehydrated fruit can also be stored in a vacuum-packed jar manufactured from glass or the BPA free plastic material. The dried fruit should also be stored in a dry and cool place for good results. The dehydrated fruits can store up to the period of 1 to 2 years according to the fruit’s nature and the way you store it. If you are not willing to consume the dried fruit quite often then, you can store them in the freezer for longer shelf life for several years. But don’t store them too long as this also impact the fruit’s quality predominantly. The dried fruit should store in a dry and cool place which is not bare to light, e.g., a stockroom. The dried fruit should be placed inside the vacuum-packed bags after forcing out the additional air before sealing. You can also store them in a brown color vacuum-packed bag for reducing the direct contact of sunlight. If you found any moldy fruit in the airtight container, then soon take it out instantly as it can spoil the other dried food too. The dehydrated fruit must be stored loosely inside an airtight container. It will help in the distribution of the residual moisture uniformly in the middle of the other fruit pieces. The formation of condensation in the container shows that the fruit is not adequately dehydrated and must dry out more. The dried fruit is one of the yummiest snacks that are loved by all age group people. You can easily dehydrate them in the food dehydrator in a very short period in comparison to the other drying methods. After reading the above article, we hope that now you know the answer to the question that “how long does dehydrated fruit last.” The shelf life of the dried fruit varies owing to numerous factors like temperature setting, the thickness of slices, the moisture content of the fruit and the right storage. You can increase their shelf life by storing them in a freezer if required. Or otherwise, you can store them in your kitchen for approximately one year. We believe that now you know exactly how long does dehydrated fruit last. You can also let us know if you have very dried any fruit in your dehydrator machine and how much time it takes? Is there anything that we still missed mentioning in our above article? Then, don’t hesitate to share it with us in the below comment box. Don’t forget to share this article with all your friends and relatives who are unaware about the shelf life of the dried fruits.